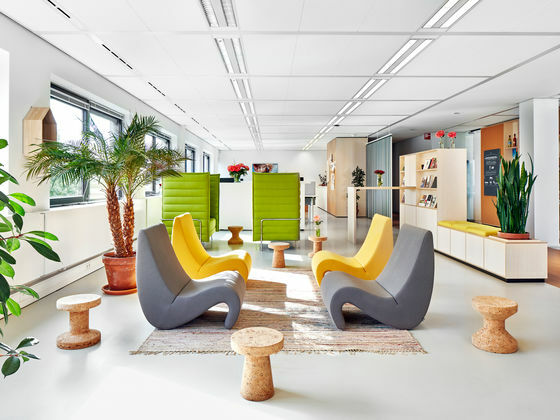 Visit us in Weil am Rhein and get to know the company: what does Vitra stand for? What events and encounters have had a significant effect on the company’s development? How should spaces be designed and for what purposes? Which products can be used in certain situations to afford customers maximum benefit? Although Vitra is known for high-quality innovative product solutions, our identity goes far beyond products. 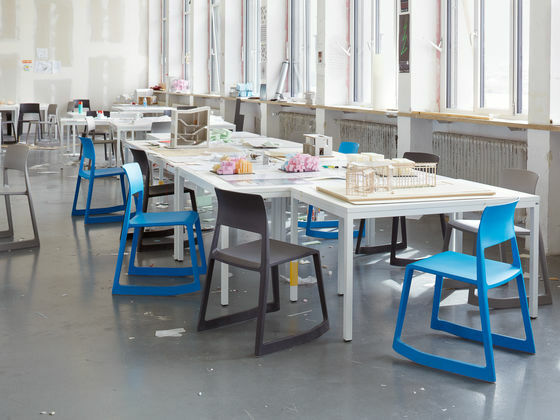 Our training sessions are held on the Vitra Campus in Weil am Rhein – the heart of our company. The architecture, Vitra Design Museum, VitraHaus, diverse offices and the production factory transform our values into a tangible experience. The campus serves as a meeting point and training site for both newcomers and experts. Active dialogue results in a strong network among employees in Sales, Sales Administration and Planning and close ties are developed between different specialist stores. Training sessions aim to ensure that the knowledge acquired can be immediately implemented in everyday situations. Essential information is provided in presentations, then actively consolidated in groups and applied to practical scenarios. Here you will find our training offer with a range of courses for the Home and Office sectors. If you would prefer to enhance your knowledge whenever and wherever you choose, a variety of self-study modules can be found in our e-learning section.